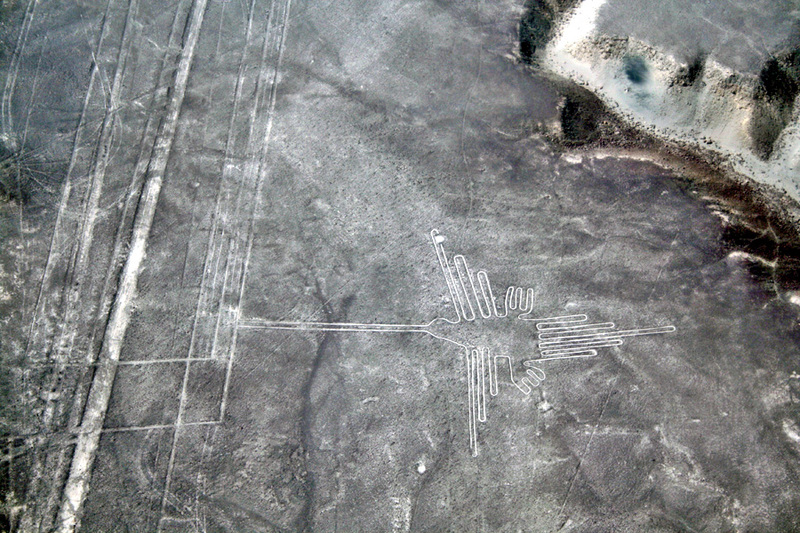 This is one of the Nazca lines. Represents a hummingbird. Measures 96 meters (more or less the measure of a football field).